Cool! Save an average of 20% on Croscill Living with 9 Coupon Codes, and 23 Deals! 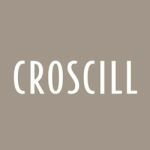 Croscill Living features an array of products for bed and bath and you'll surely find the perfect set you're looking for. Select from various categories such as bedding, bath, window and basic bedding and pillows. Elegant and charming bed and bath collections are all available to fit your desired style. Details: Free Shipping on All Sale Items. Expires 5/28/2012. Details: Get free shipping on everything. Expires 12/02/2013. Details: Get an additional 20% off on all CL Outlet Window Treatments. Details: 50% Off All Rugs. Offer valid while supplies last. Details: Get up to 60% off select styles. Details: 40% Off 3 New Styles + Free Shipping. Expires 10/10/2012 or while supplies last. Details: 30% off Mardi Gras Bedding Collection. Expires on 03/04/2014.